This 2017 CE Pro BEST award winner, Force5 2.0™ is for all 5 bands that the cell phone companies operate here in the United States. 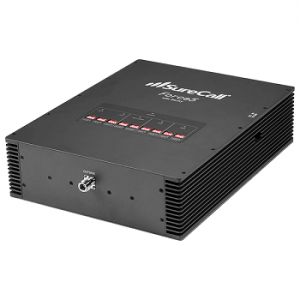 The FORCE-5 2.0 amplifiers are aimed at large buildings such as factory floors, workshops, government buildings, hospitals and hotels. 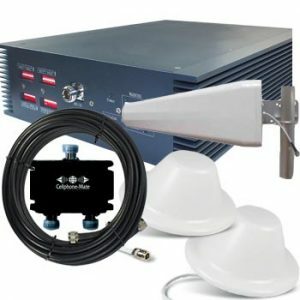 This repeater system can cover 25,000 Sq feet inside any building and serve up to 100+ simultaneous users. 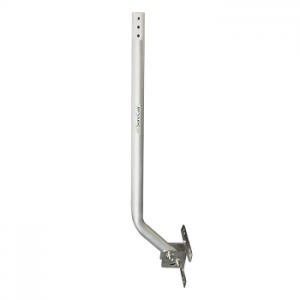 Yagi antenna -SC230W , full band (698 – 2700 MHz) or Omni-directional antenna can be chosen at checkout! Installation is simple and the kit comes with a clear instruction manual. 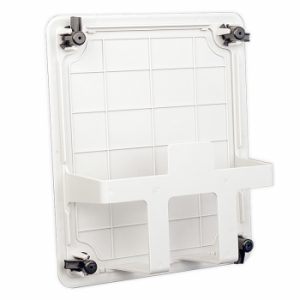 Mounting the Yagi antenna is similar to installing a TV antenna that connects to a cable. 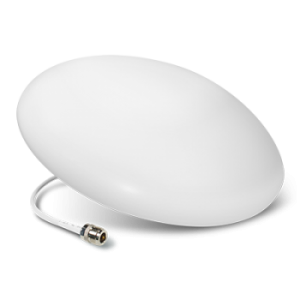 The cable is run into the building to the amplifier and installation is completed by mounting the indoor antenna in the ceiling. 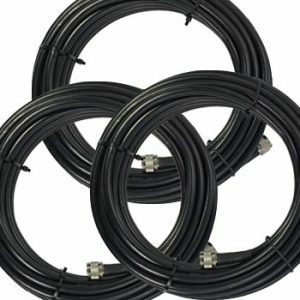 The default cable included in the kit is a 75 ft & 30 ft. For installations that require longer lengths, please contact us and we can custom fit your cable needs. We were getting internet via the Verizon USB card and it was getting to a point that I could take a nap in between you tube videos. Called the customer support at this store and got recommended this unit. Installation was a bit tricky with routing the cable, and my husband finally got it to working. Our browsing speed has gone up considerably and the voice connection is much more clear. Will recommend this unit. 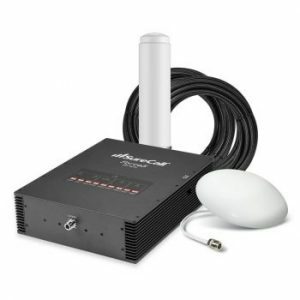 We installed this in one of our customers office and this product works fantastic for remote use. 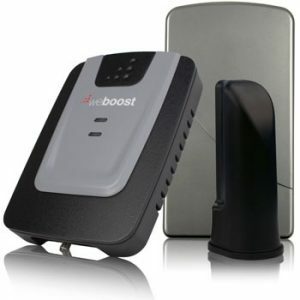 This product has been used for AT&T and Sprint in a pretty remote area and to the customers surprise it has worked great! I did a huge amount of research before choosing the SureCall Force5 framework for our 18k square foot office. 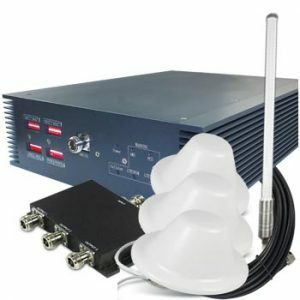 Indeed, before arriving on the Force5 I likewise attempted different repeater structures and found that the Force5 worked impressively better. This framework generally works exceptionally well, and to the extent, I can tell is the “Cadillac” of in-building, “consumer-review” boosters. In case you’re asking why I put in “purchaser review” that last sentence: it’s a FCC assignment, and implies that you can work these boosters without requiring a unique assertion set up with the carriers, which, from what I comprehend, is very difficult to get. 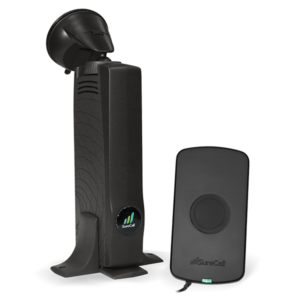 For most structures, the length of you have some signal on the rooftop to use the “benefactor” signal for your system, then the Force5 will work extremely well, and intensifies signals for each of the four noteworthy carriers here in the US. We went from seeing 1-2 bars up to 4-5 bars pretty reliably, however precisely what sort of execution you’ll see relies on upon the nature of the signal where you have the giver receiving wire up on the rooftop. We installed this on one of our customers shopping complex and we were impressed with the increase in coverage as the result. 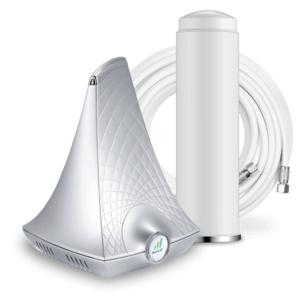 AT&T was their main concern that we were able to focus on and tame down Verizon since they had good coverage already, very easy to install and fine tuning the system was a breeze, highly recommend this Kit!